are composers Chris Branch and Tom Haines. 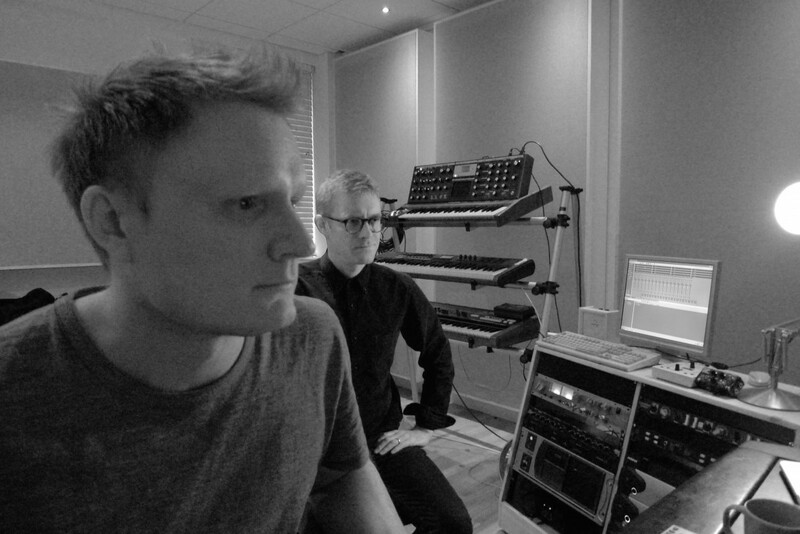 They have 15 years experience composing music for Film and TV. 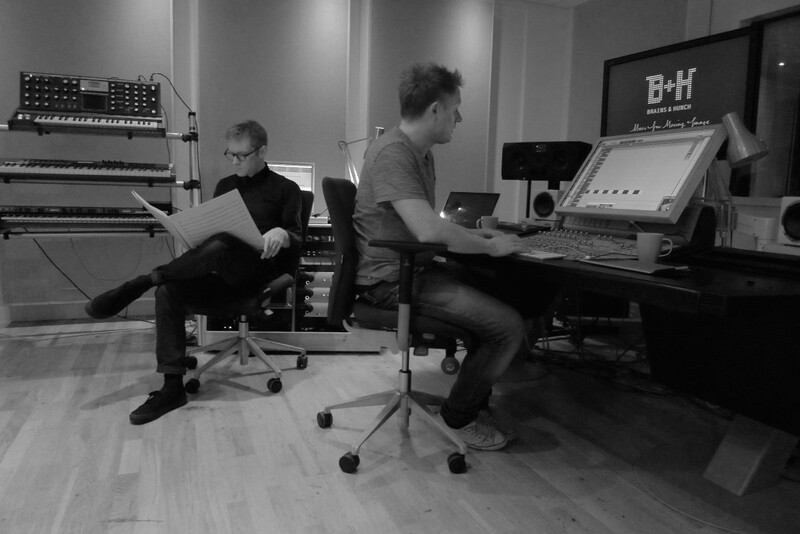 Haines and Branch’s music composition, foley and sound design happens in their Pro Tools HD studios and live room in Hoxton N1. The two studios are very well equipped with an array of unusual and rare acoustic instruments, classic outboard equipment, lots of interesting old microphones, analogue synthesisers and organs. There is plenty of room for recording medium sized ensembles of musicians. The studios are also home to a large client friendly control room with ADAM monitoring, an ICON desk and plenty of natural light! A brand new TV animation series for a major US TV network to be announced soon! CBBC (UK) TV Channel Music across the station. BBC Three (UK) TV Channel Music across the station. Sky Lifetime (UK) TV Channel Music across the station. Alibi (UK) TV Channel Music across the station. Buried Land Feature Film Dir. Steven Eastwood Premiered at the Tribecca Film festival New York. What you Will. Feature Film. Poonamallee Productions Dir. Simon Reade. Deep State. A feature film by China Mieville, Brad Butler and Karren Mirza. Zero Metres Squared A new film for Canal + France. Dir. Mat Landour. The Elaborate End of Robert Ebb A film made for Canal + France. Dir. Mat Landour and FX Goby. The Receipt with Perrier award winner Will Adamsdale Fringe First award winning show at the Edinburgh Festival Currently in Development with Film Four. The Victorian in the Wall A commission from The Royal Court London. Currently being adapted for BBC Radio 4. Full scale Orchestral album Commission from Warner now used world-wide. Over 10 years working with Universal Music on many commissions in use world wide. Currently Working with Simon Callow, trumpet player Dan Newell and the Royal Philharmonic Orchestra on a major new children’s audio book teaching music through the adventures of Billy’s Band. Chris and Tom are part of the band The London Snorkelling Team, Receiving critical acclaim from the likes of Jarvis Cocker, Portishead and The Guardian newspaper. Gigs include Alexandra Palace London (Supporting Portishead) sell-out run at Camden roundhouse, Festival shows including Latitude, End of the Road, The Edinburgh Festival and The Big Chill.